Shopping for a Mazda CX-9? In the market for a pre-owned vehicle? Why waste time and gas driving all over town when you can shop an incredible selection of used Mazdas at Sport Mazda in Orlando, FL. We keep a large inventory of pre-owned vehicles on sale including the sporty, yet family-friendly CX-9 SUV. In addition to big savings on all our used cars and SUVs, we also offer benefits like a Lifetime Powertrain Warranty, low finance rates, and an award-winning customer service experience. We consistently rank as of the highest rated dealerships for customer satisfaction in the state of Florida. That means when you shop at our Orlando, FL Mazda store, you’re going to get a great price and an easy, stress-free buying experience no matter what make or model you choose. Call us today at our Orlando Mazda dealership, (407) 392-9336. The Mazda CX-9 is one of the most popular used vehicles we sell at Sport Mazda Orlando. What’s an even hotter seller? That would be a Certified Pre-Owned Mazda CX-9. A certified pre-owned CX-9 comes with the additional security of a factory backed warranty and includes other unique benefits. It’s a great choice for those who are looking to take advantage of the inherent savings involved with purchasing a pre-owned vehicle, but want the added security of manufacturer protection plans. The Mazda CX-9 is a seven passenger, three-row crossover that stands out among the “sea of sameness” you see with other three-row SUVs on the road. It sports stunning good looks and offers a near luxury interior in practically every trim level. There’s certainly no shortage of three-row crossovers out on the roads these days. It’s not a stretch to say that this segment has quickly become the most desired type of vehicle among North American consumers at the time of this writing. You’ve got lots of options to choose from when it comes to three-row SUVs, but might be wondering what makes the CX-9 different from the others. Well, for starters, it’s a Mazda. One of the unique benefits of Mazda is that every one of their vehicles is engineered with true driving dynamics. This is evident when you take the CX-9 out on the roads in the greater Orlando area. The steering is incredibly responsive, the acceleration is top-notch and, to put it simply, it’s just plain fun to drive. A lot of the three-row crossovers from the competition drive more like Frankenstein on stilts. With the CX-9 you get all the passenger space and cargo capacity you need plus an extra element that keeps your everyday commute exciting and engaging. 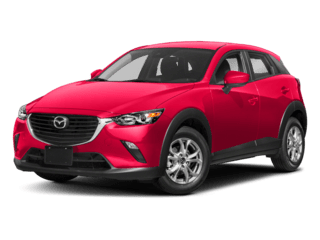 Plus – when you opt to go with a Certified Pre-Owned CX-9, you enjoy added protection and confidence from the warranty, protection plan, and other benefits of ownership. 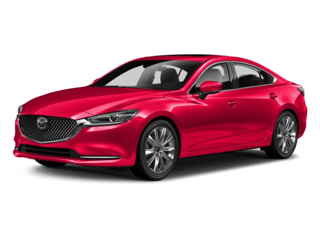 Why Visit Sport Mazda Orlando? Whether it’s a new Mazda or a certified pre-owned Mazda, more and more Orlando auto shoppers choose to do business with our dealership. Maybe it’s due to our record of outstanding customer satisfaction or our rock-bottom prices. Maybe it’s a combination of both! Whatever the case, we guarantee that if you give us a shot at earning your business, you’ll never want to shop or service your car anywhere else. No other dealer compares to Sport Mazda Orlando! Call us today (407) 392-9336.